COLORADO SPRINGS, Colo. — USA Triathlon today announced the University of South Dakota as the 20th school — and third NCAA Division I program — in the nation to add varsity triathlon as an NCAA Emerging Sport for Women. The commitment of the 20th school is a milestone in triathlon’s journey to becoming an NCAA Championship sport, marking the halfway point of a goal to reach 40 schools by 2024. Deemed an NCAA Emerging Sport for Women in January of 2014, triathlon has a 10-year window to demonstrate sustainability as an NCAA sport option. USA Triathlon’s recruiting process is gaining momentum, as five schools have announced the addition of varsity women’s triathlon programs in the past five weeks. The NCAA Emerging Sports for Women program was created in 1994 to grow meaningful intercollegiate participation opportunities for female student-athletes, create more sport-sponsorship opportunities for institutions and help new sports achieve NCAA championship status. 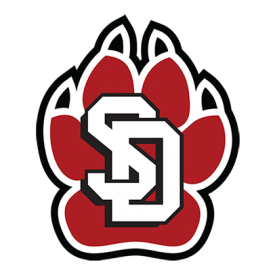 Based in Vermillion, South Dakota, USD joins Arizona State University and East Tennessee State Unviersity in offering Division I women’s triathlon programs. The team will begin competing in the fall of 2018. The addition of women’s triathlon to USD’s varsity sport portfolio was made possible through a $140,000 grant from the USA Triathlon Foundation. The USA Triathlon Foundation Women’s Emerging Sport Grant is distributed to select NCAA membership institutions to develop, implement and sustain women’s triathlon programs at the NCAA varsity level. The collegiate women’s triathlon season, which takes place primarily from September to November, includes three regional qualifiers and the Women’s Collegiate Triathlon National Championship. Athletes race over sprint-distance courses covering a 750-meter open water swim, draft-legal 20-kilometer bike and 5-kilometer run. At the 2017 Women’s Collegiate Triathlon National Championship held in Tempe, Arizona, on Nov. 5, Arizona State Univeristy defended the overall and Division I team titles. Queens University of Charlotte earned the Division II crown as a club program, while the top-placing varsity Division II team was the University of West Alabama. The Division III crown went to North Central College (Ill.). Of the 20 varsity women’s triathlon programs in the nation, three are Division I, nine are Division II and eight are Division III programs. Sixteen states are represented. For more information about triathlon as an NCAA Emerging Sport for Women, visit usatriathlon.org/ncaa. For questions regarding women’s varsity collegiate triathlon events and programming, contact USA Triathlon Women’s NCAA Coordinator Jessica Welk at Jessica.welk@usatriathlon.org.